Welcome to Toys et Cetera, a fun educational toy store! 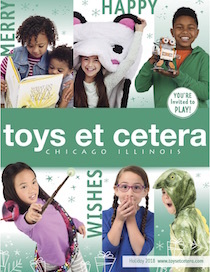 Toys et Cetera was born in 1976 to satisfy my need for better toys for my own children – toys that were educational, developmentally sound, and culturally sensitive. My children are now grown but my search goes on for quality toys from around the world. My stores carry the premier specialty toy lines for the young of heart of all ages, from infants through adults. As we have grown over the years, I continue to seek out good craftsmen and clever toy inventors. From creative art activities to scientific pursuits to challenging new games to good books and lively music, our playthings tickle the imagination and expand the mind. 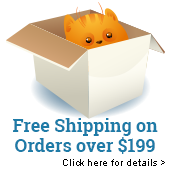 Here online is just a small sampling of the over 10,000 toys we carry in our stores. For over 40 years, my primary concern has been the health and well-being of our communities' children. It is with great care that I consider the product we place on our shelves, trying my best to assure that all our playthings meet and exceed the highest safety standards. While physical safety is A#1, I consider the social and emotional health of the child to be equally important and carry toys, books, and games that help develop critical and creative thinking, self-esteem, and constructive social values. When in Chicagoland, we invite you to drop on by. Our toy shops are conveniently located in the historic neighborhoods of Hyde Park and Andersonville in Chicago. We strive to be as intelligent, unique, and interesting as the multi-cultural communities we proudly serve. 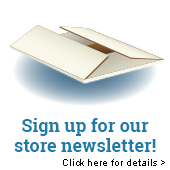 Online or in store, we hope you enjoy your visit! Copyright 2008 Toys et Cetera, Inc. All Rights Reserved.